Alexander Schieffer co-founded, with Ronnie Lessem, TRANS4M Center for Integral Development (Geneva), designed to (r)evolutionize education, research and development. Trans4m’s cutting edge programs provide innovative culture-specific responses to burning socio-economic issues. Born in Germany, Schieffer got his PHD from the University of St. Gallen, Switzerland, where he lectures in International Development. Formerly, he was CEO of First Asia Publishing (Singapore), Founder of CELL Center of Excellence for Leadership and Learning (Munich), an internal Management Consultant with the Bertelsmann Group (London) and worked in Investment Banking (Frankfurt). Ronnie Lessem was born in Zimbabwe of central European parentage, and graduated from Harvard Business School and the London School of Economics. 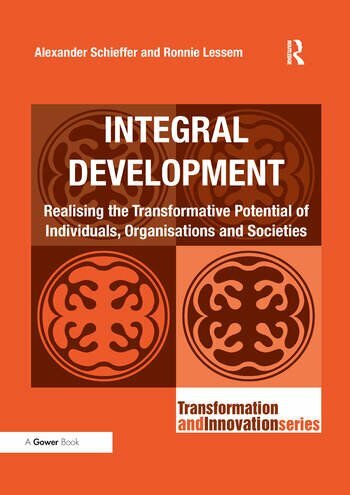 He has written some 30 books, the last six together with Alexander Schieffer, on self, organizational and societal development from a transcultural, transformational perspective. He has also been an international management consultant in Europe and America, India and Africa for three decades.